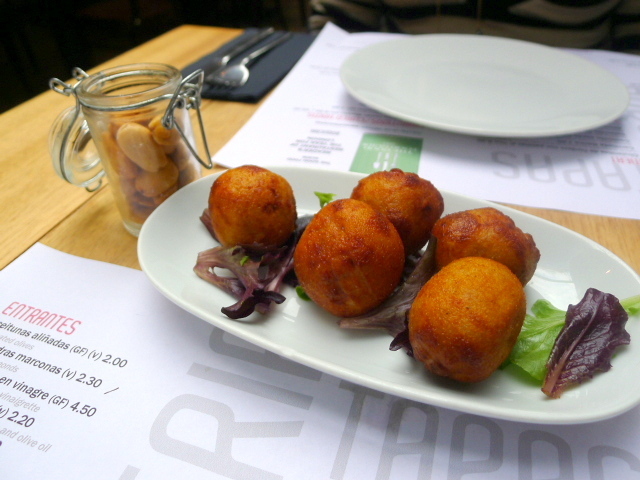 There’s no shortage of tapas restaurants in London and Boqueria on Acre Lane is another. 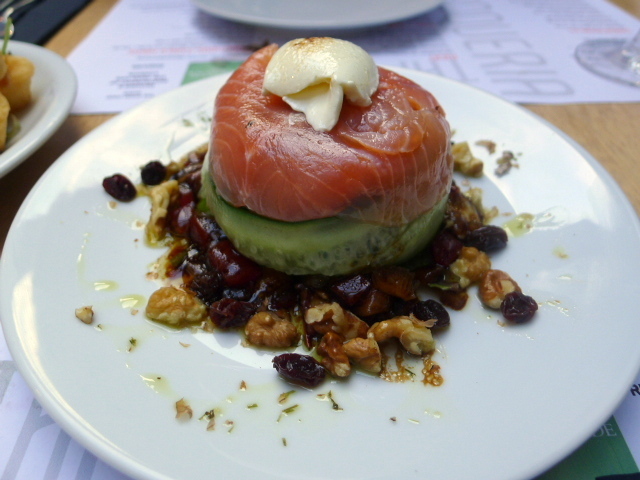 It’s a charming looking restaurant perched on the Brixton borders with a relaxed feel to it and a modern décor. Roughly L-shaped, the section towards the back has glass-paneled ceilings overhead that allow in lots of lovely natural light. The menu boasts a reasonable range of choices with both a traditional and contemporary approach. As is standard at a tapas restaurant we tried a large variety of dishes starting with some marcona almonds (£2.30) to nibble on that were crunchy, nicely seasoned and gloriously delicious. These nuts were a delicious way to being our meal. From the specials, innovative suckling pig croquetas boasted of some lovely sweetness from the suckling pig filling (£6.30) and were really yummy. 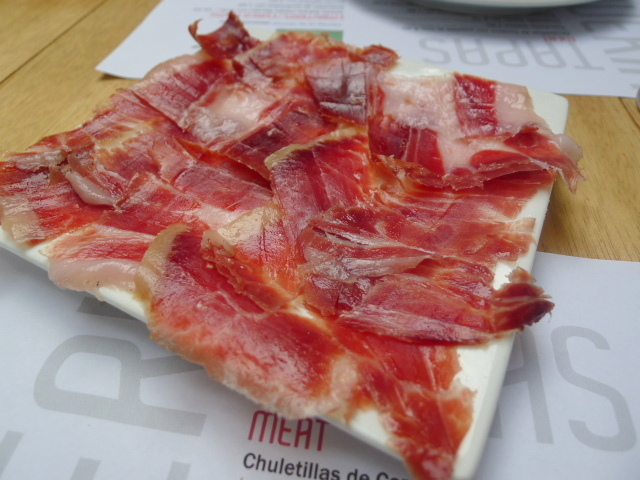 It wouldn’t do to go to a tapas restaurant and not sample the Spanish hams. 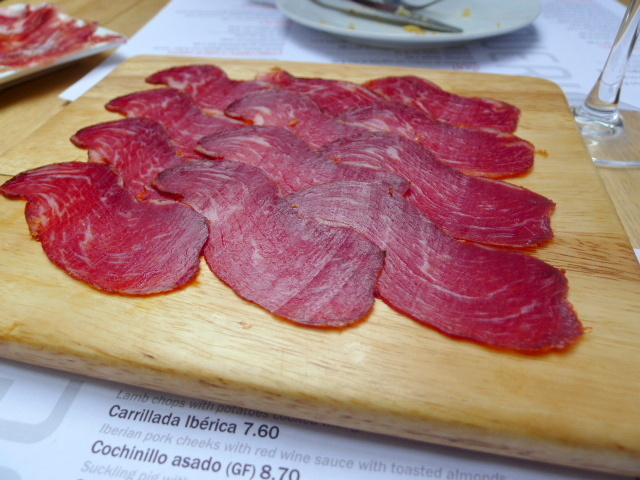 Cold-cuts of hand carved jamón ibérico (£9) and acorn-fed Iberian pork loin (£9.80) were both delicious. 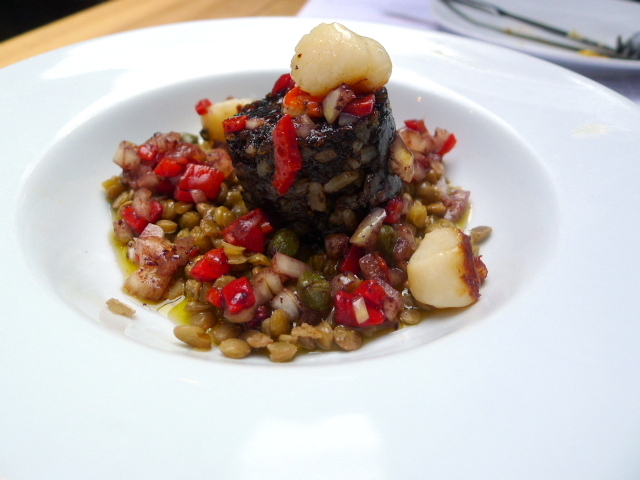 Also from the specials board were ‘pinchos’ of beef, foie gras and PX sauce (£6.30) and ‘morcilla’ with scallops and lentils (£6.30). The pinchos didn’t capture the imagination as the beef was bland and the PX sauce was too acidic. The combination of ingredients in the morcilla dish was well considered, but the morcilla itself needed a stronger, richer flavour to lift the dish. Texturally it was also a touch grainy. 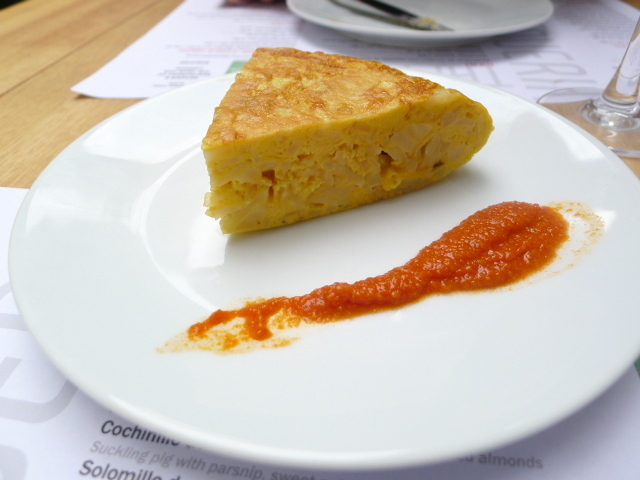 To the staples from the a la carte menu and a traditional Spanish tortilla (£4.90) was decent but could have done with more seasoning to lift it as it was a little bland. If you ate with your eyes then the fried squid looked very impressive on the plate as they were massive. They were also tender, fresh and gently fried with a lovely crunchy coating. Monkfish “Catalana” with prawns (£7.90) was also rather tasty with its tomato-based sauce, and the combination of the prawns with the fish were a considered pairing. A dish of lamb chops (£7.90) were very tender and tasty but could have done with about a minute less cooking as they bordered on being well done. The chops were accompanied by some potatoes with garlic and white wine that weren’t the best as they were too oily, leaving this dish soaking in oil. You couldn’t really taste the garlic either. 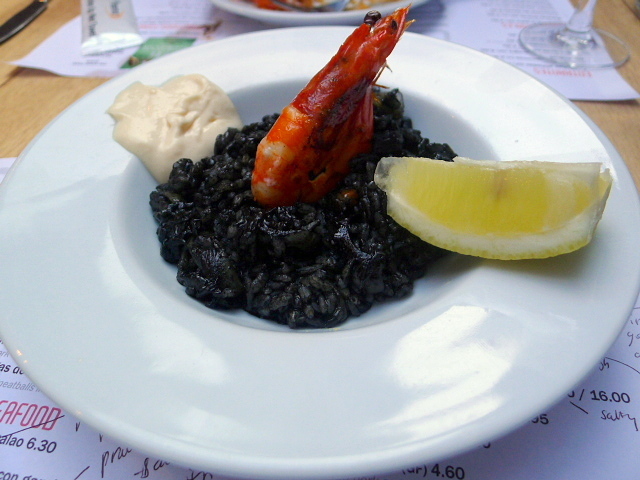 A dish of black rice with squid and mussels (£9.80) missed the mark. I found some grit in the mussels and the black rice was incredibly over seasoned. There was also a lack of flavour coming through from the black ink stock that was used to cook the rice. A marinated cod and salmon salad with octopus, cucumber, tomato and walnuts (£6.20) boasted of an interesting presentation. The freshness of the salmon was questionable however and what little octopus there was in the salad turned out to be bland. But seafood aside, the vegetables in the salad was fresh and nicely dressed. 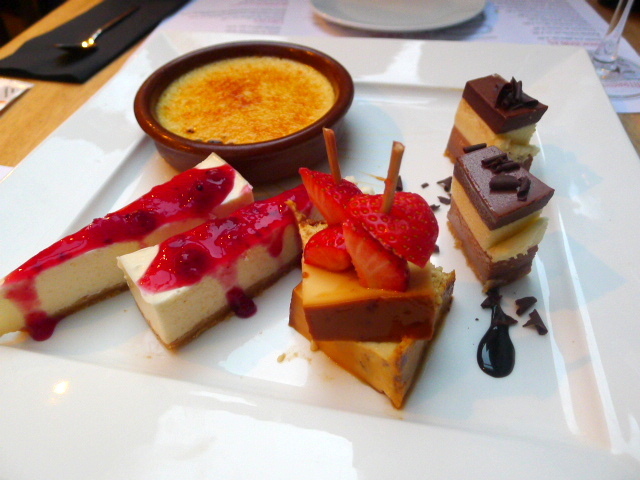 We tried a variety of desserts and the cheesecake with raspberry marmalade (£4.20) proved particularly yummy. Also interesting was the traditional crème caramel-style tart with almonds (£4) for both its nuttiness and slightly eggy texture. 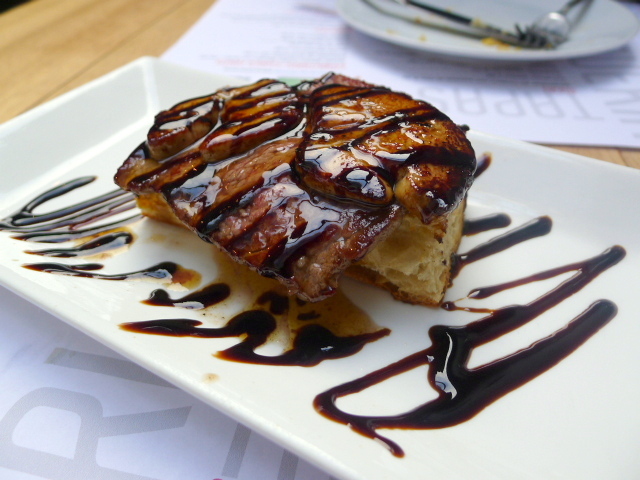 A crema Catalana (£3.80) wasn’t bad either, although a triple chocolate tart (£4.20) was a little too sweet. The cooking at Boqueria doesn’t have the refinement or elegance of big hitting tapas restaurants such as José and Pizarro. Still, it was relatively good even if some of the cooking missed the mark. 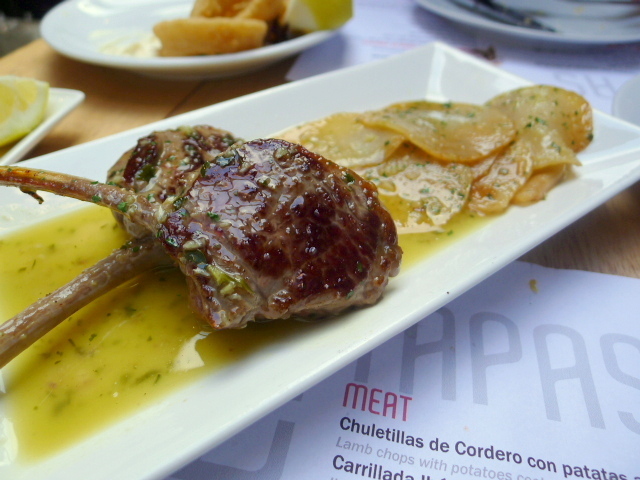 There was a certain originality in the dishes that made it rather appealing, and given its reasonable pricing, Boqueria is a decent tapas destination. The restaurant has a nice vibe so its a good place to hang out with friends as well. 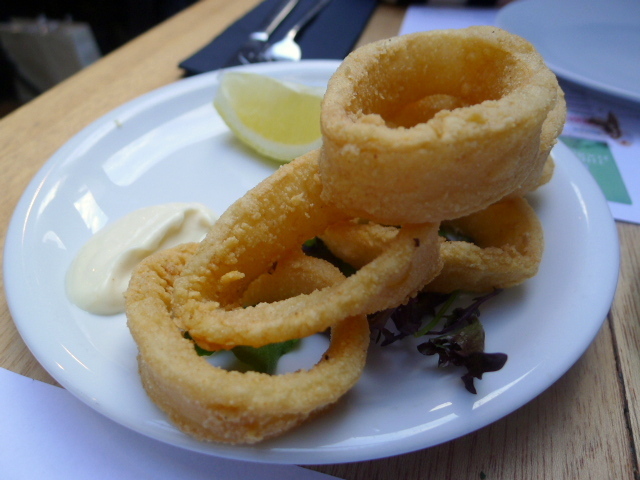 Boqueris is not quite a ‘go-to’ place, but for a local restaurant it isn’t doing bad a job. Prices: About £25-£40, excludes drinks and service.